The two Irish oil companies that are looking for oil in occupied Western Sahara are about to merge. The firms are undermining international law. The two Irish oil companies, San Leon Energy and Island Oil and Gas, which are basically owned by the same people, are about to merge. This was announced by San Leon on 15 October. Download the San Leon release here. Together they will hold “70 percent gross interest, before the participation of ONYHM (the Moroccan Government-owned entity), in the onshore Zag and Tarfaya interests in Morocco,“ according to the release. 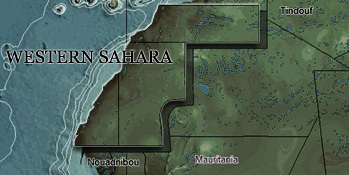 Both these two blocks are mainly not in Morocco, however, but in Western Sahara. Western Sahara has been under Moroccan occupation since 1975. Searching for oil in Western Sahara is in violation of international law, according to the UN, and the people of Western Sahara is against it. The Irish Minister of Foreign Affairs have asked the Irish firms to respect international law.